With the advancement of portable technology, such as smartphones and tablets, the online gambling industry has hit its biggest profit of 3.5 billion a year. Campaigners say this has led to a rise of problem gamblers amongst young people. With the constant advertisement of online gambling sites, that are even celebrity endorsed, I investigated if online gambling was a problem amongst young people today and the influence of advertising. Carol Wight lost her son Joshua to online gambling and now believes that gambling addictions should be taken more seriously. 1 in 20 men aged between 16 and 24 are problem gamblers, Marc Hunt a self-confessed gambling addict, since being 17. Now a student at the university of Exeter and now thousands of pounds in gambling debt, from splashing his student loan to payday lenders, Marc talks about the appeal of online gambling to a younger audience. should online gambling be taken more seriously? 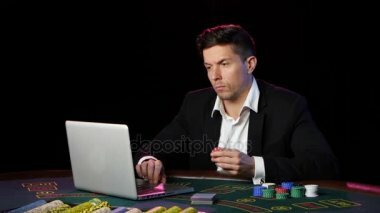 With online gambling at its most popular making a profit of 3.5 billion a year and the rise of portable technology has meant that as a society we can gamble without even having to get out of bed. Constant advertisement of online gambling, and even celebrity endorsement, has labelled young adults to be the victims of online gambling.